Small plan of Mimi S.D. (survey district) Block IV. 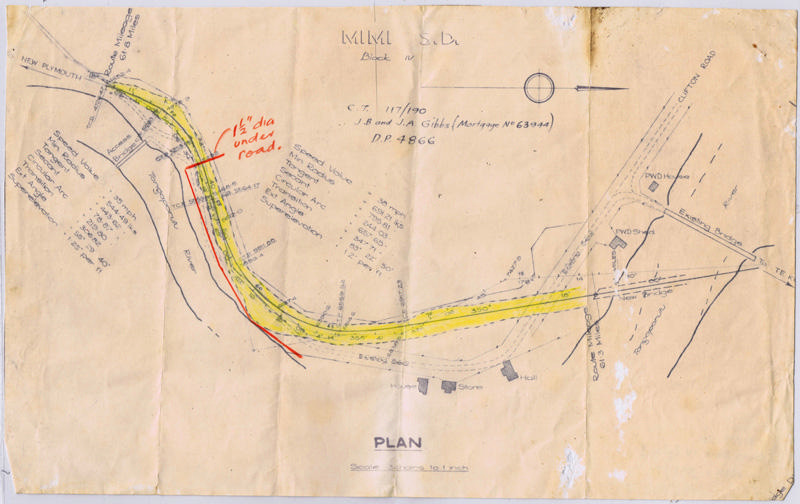 Shows the small township of Tongaporutu with existing bridge and proposed new bridge and adjusted highway. Scale: 3 chains to 1 inch. 207mm (H) x 338mm (W).